[13:21] -NickServ- This nickname is registered. Please choose a different nickname, or identify via /msg NickServ identify <password>. [13:21] -NickServ- You have 30 seconds to identify to your nickname before it is changed. [13:22] -NickServ- You are now identified for DataBot. [13:22] -MemoServ- You have 2 new memos. [13:26] <Datalink> the 10K resistor's a pull-(up/down) resistor, and the 1K resistor protects the button from surges, you can safely (and preferably) use the Pi's own 3.3v rail, however if you use a different device to power the switch (not sure why but hey, it can happen) make sure ground is common between the Pi and the other power circuit, so 3.3v is the same. [13:38] <gordonDrogon> basti, have you solved the issue? [13:43] <gordonDrogon> isn't it just main memory? [13:43] <gordonDrogon> open /dev/fb and poke pixels into it? [13:43] <digitlman> hello all. I am getting this error when trying to insttall watchdog 5.21: run/udev or .udevdb or .udev presence implies active udev. Aborting MAKEDEV invocation. [13:43] <electron_> so is the gpu's memory accesible from userspace? [13:44] <gordonDrogon> electron_, not 100% sure but I think so - the closest I get to it in my stuff is using SDL which pokes pixels into a 'shadow' copy then block-moves the shadow to the main framebuffer. [13:47] <gordonDrogon> I wrote code for an LCD that was updated via SPI a while back. I didn't use the main framebuffer though, but created one of my own. [13:49] <electron_> so this frambuffer isnt acelerated via gpu right ? the one you wrote ? [13:51] <electron_> gordonDrogon , can i have your code ? [13:52] <gordonDrogon> electron_, no aceleration - it's just pixel pushing. [13:53] <gordonDrogon> there is an LCD from adafruit that does the same - and has a Linux kernel framebuffer interface (mine hasn't). [13:53] <gordonDrogon> I think they publisehd all the code. [14:00] <gordonDrogon> electron_, actually, I've just realised that code doesn't use SPI - just raw GPIO. still manages 130 fps though. [14:01] <electron_> cool ! 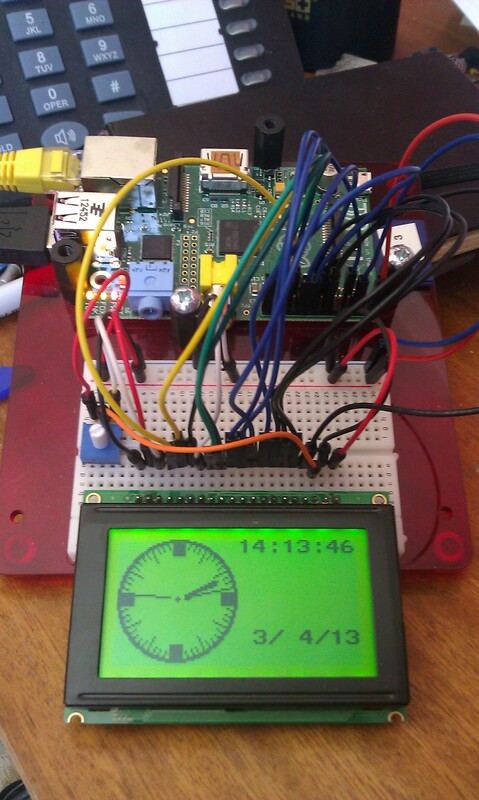 ..
[14:01] <gordonDrogon> I did code for a colour LCD with a touchscreen that never made it to market though (shame). That did use the SPI bus to drive it. [14:01] <gordonDrogon> that display would do about 30fps, but it was much bigger and 16-bit colour. [14:01] <gordonDrogon> SPI more or less does that. [14:02] <electron_> you sure ?! [14:02] <gordonDrogon> Hm. maybe it's just interrupts and a FIFO on the SPI. it's been a while since I looked deeply into it. [14:12] <digitlman> well, I uninstalled the wolfram-engine, but till get: /run/udev or .udevdb or .udev presence implies active udev. Aborting MAKEDEV invocation. [14:19] <digitlman> any thoughts why? [14:19] <gordonDrogon> none whatsoever, sorry. [14:20] <gordonDrogon> I don't use watchdogs on the Pi. [14:42] <bigx> do you know if there is some settings i can adjust in the config.txt? [14:47] <bigx> what do you think? any other idea? [15:30] <pwillard> Hmmm. I can mount a USB drive and access it if I'm priv'd, but not if I'm just "me", joe user. did I miss a step? [15:33] <pwillard> VNC access was showing it mounted... but access was denied. [15:34] <pwillard> only thing odd is I use a different account, not pi. [15:35] <ppq> make sure your new user is in the same groups as "pi"
[15:48] <rosslazer_> Hello cam anyone tell me about the overhead of starting X vs. using an image buffer to display a slideshow? [16:06] <DDave> anyone installed freebsd 10 yet? [17:55] <djazz> johncs: are you trying to encode while taking pictures? [17:58] <johncs> any hint on how to do that? [18:09] <ppq> if i may ask, what are you planning to do with this setup? [18:11] <johncs> if I don't crack this resolution issue I will attach an external drive and use that for the jpg storage. [18:13] <gordonDrogon> can't you just take stills every minute or 2, then externall use something like openshot to make a movie? 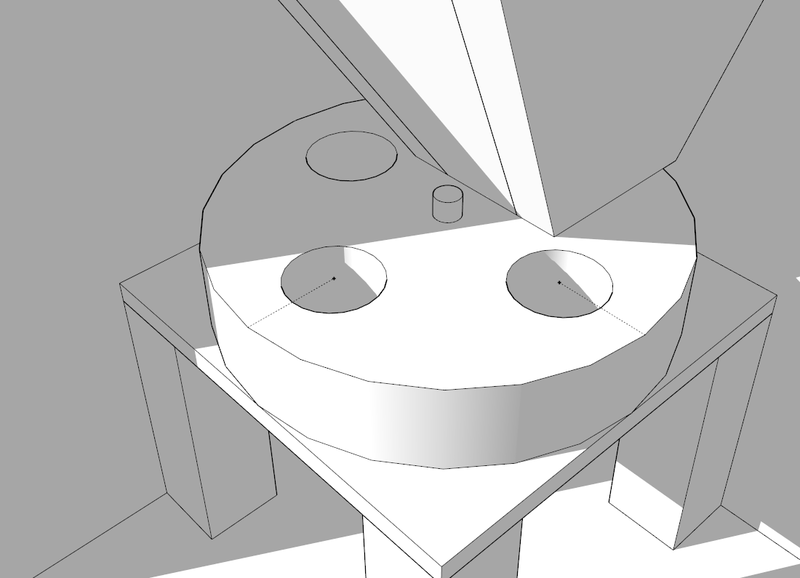 [18:17] <johncs> for a full day - hence wanting to pipe the pics direct into the encoder. [18:18] <johncs> I need to get the camera manual out then. [18:20] <uid69> that's every 30 seconds. Then compiling the photos into a video isn't too hard. [18:21] <uid69> I just used windows movie maker to complie a couple days into one video.. looked really good. Next attempt will be seeing if i can have the frames fade into one another. [18:22] <uid69> converting a day into a video took all of a minute for me. [18:22] <johncs> from the pi camera - I've seen code to do it from a web-cam. [18:32] <Vinny4> I'm trying to send data to an Android tablet from my RPi over Bluetooth, via an RFCOMM socket. After sending anywhere from 5k-200k of data, the send calls start to block. [18:32] <Vinny4> Has anyone seen anything similar? [18:40] <IT_Sean> Vinny4: just ask your question... if someone can help, they will. [18:41] <Vinny4> Will do, thanks Sean. [18:41] <Vinny4> I'm trying to send data to an Android tablet from my RPi over Bluetooth, via an RFCOMM socket. After sending anywhere from 5k-200k of data, the send calls start to block. [18:41] <Vinny4> I've tried both doing a select() with my socket in a write fd set, and a send(). [18:41] <Vinny4> Both block after a while. [18:42] <Vinny4> I've also taken an hcidump trace, and I'm seeing that the "Number of completed packet" events don't match up with the "ACL data" messages. [18:43] <Vinny4> Once the lockup occurs, the former is always less than the latter by exactly the number of ACL buffers that hciconfig shows for the adapter. [18:44] <Vinny4> It sort of seems like I'm losing HCI completed packet reports, but AFAIK the higher order protocols are reliable, so they should be resent. [18:44] <Vinny4> Has anyone seen anything similar on the Pi at all? [19:59] <gordonDrogon> isn't rpi.gpio installed via apt-get anyway? [20:19] <pksato> cooling not help overclocking like on x86 cpus. [20:19] <donta> is there a way to check if my rpi requires reboot? [20:20] <pksato> donta: is working fine? no need reboot. [20:20] <x29a> donta: why would it require a reboot? [20:20] <pksato> neredsenvy: just provide some sort of air flow cooling, on both side os PCB. [20:20] <msodrew> Anyone know when we'll see the light of that Intel Edison SoC they were showing off at CES? Looks like it would be a formidable form-factor update for the raspberry pi crowd. [20:31] <Smrtz|Lab> Hey, I'm running Raspian, and it's failing to boot, it's hanging on a bad daemon, is there anything I can do? [20:33] <Smrtz|Lab> cato, so there's no recovery image, or anything like that? [20:36] <liamstask> any chance anybody knows of a project in which a pi presents itself as a headset device via bluetooth? i'm trying to figure out how to get video chat software on a mobile phone to send its audio to the pi. [20:36] <liamstask> when connected as an a2dp, music players will stream to it, but not video chat software. [20:46] <melwyn> hey everyone! i have a project where i need to spin something 1/4 per period. first stop at 90�, second at 180�, third at 270� and last one at 0/360�. i bought a continuous servo for testing but that don't seem to work, it just can turn cw/ccw but not a given distance/angle. what should i use instead?! [20:46] <melwyn> i think a standard servo won't go above 270�, right? [20:48] <SpeedEvil> A stepper motor will work well. [20:49] <SpeedEvil> Or you can add a position encoder to your existing system. [20:49] <SpeedEvil> Do you need approximate - or very accurate? [20:53] <SpeedEvil> is this a marble machine? [20:53] <SpeedEvil> Add a microswitch or similar device. [20:54] <melwyn> ohh, good point!!! [21:00] <azizLIGHTS> i can use this on the pi ! [21:02] <Tagor> Is there a solution to power several raspberries? [21:08] <Tagor> rikkib: where can I find those? [21:14] <pksato> Tagor: a industrial 5V PSU, or ATX PSU. [22:18] <Raynerd> Does anyone use xivley?? [22:59] <Raynerd> shiftplusone: You about? [22:59] <shiftplusone> always, Raynerd.... always! [23:00] <Raynerd> Haha. Just hoping for some advice. You remember the silly twitter thing I was doing. Tweeting the CPU temp? [23:02] <Raynerd> I appreciate this will be a big task but can you confirm it will be possible, without huge huge skill and effort, to pull those numbers say once every 15 minutes and tweet them. [23:04] <Raynerd> That all being said, the raspberry pi is sending the numbers to xivley so the numbers are already on the pi! [23:04] <Raynerd> To be honest, it is a add on board, but nothing more than a load of sensors connected to the RasPi! [23:07] <Raynerd> Im use to c and if I had a value it would be stored in variable. Is this the same with python.? In which case, if I have a temp sensor connected to the gpio and it is working... I presume there must be a variable somewhere holding that temp value? [23:08] <shiftplusone> Well, you'll need to create the variable and then write the temp value into it. [23:08] <shiftplusone> Are you asking about c or python? I am a little lost? [23:09] <shiftplusone> probably a part of rpi.gpio or whatever it's called. [23:15] <Raynerd> Is there a good irc client for pi? [23:15] <Apocope> Raynerd: Define good. I'm using irssi. [23:20] <Nefarious_`AFK> So you've got the libs, and you've written your own file using them? [23:22] <Raynerd> Nefarious_`AFK: Nothing at all as clever as that. Im a school teacher. We have purchased a airpi and the kids got it going today! [23:24] <Raynerd> I have some experience with c from my little engineering projects Raynerd.co.uk but I'm totally lost when it comes to pi! I'm only doing it because they asked and seemed keen! [23:27] <shiftplusone> Raynerd, why not stick to C? [23:28] <Raynerd> Is pi not all about python. It is all I hear about! [23:29] <Raynerd> Nefarious_`AFK: So how would i capture them - are they global variables held on the entire pi to use in another script?? [23:30] <Raynerd> So how can you progrmme in c ? [23:30] <Raynerd> On the pi that is! [23:30] <sney> write programs in C, save them as .c files, compile with gcc. in short. [23:30] <Psil0Cybin> hey how is everyone here! [23:31] <shiftplusone> I can't speak for everyone, but I think that on average, we're "fine"
[23:31] <Psil0Cybin> why is that Raynerd? [23:32] <Psil0Cybin> shiftplusone: why, be a leader. [23:32] <Raynerd> I am always confused when ive been on here! [23:37] <Nefarious_`AFK> Raynerd: do you have an idea of what you need to do now? [23:37] <Raynerd> That is sending my output to twitter... I still dont see how to pull the data in there! Even just the temperature for example would be great. How do i pinpoint just one variable...temp or humity. [23:38] <shiftplusone> Raynerd, I didn't mean offence my that. 'course bare metal and linux programming is different, but I still think that if you can write code for a microcontroller, jumping to c code for the PC is a better starting point that python. However, if you have started with python already, there's no reason not to continue with python. You're learning either way, and that's good. [23:42] <Raynerd> That would be great! [23:43] <Raynerd> To be honest, looking at that last pastebin - there is only one line of code as the others lines setup the towtter api and record the cpu temp. [23:43] <Raynerd> Nefarious_`AFK: WhT you studying? [23:44] <Raynerd> Gcse and you are writing python code... I feel lucky i have 5-10 students even looking at a raspi! [23:45] <Raynerd> Good on ya! [23:45] <Nefarious_`AFK> What age range do you teach btw? [23:46] <Nefarious_`AFK> Ah so you teach A level chemistry? [23:47] <shiftplusone> ah... chemistry... I was terrible at it, but it was interesting. [23:48] <Raynerd> Haha... My explosions normally get attention... Accidental and planned! [23:48] <rikkib> 71% in School certificate science which was second in the whole school that year. [23:49] <Nefarious_`AFK> Lol, yeah. Hopefully dropping biology to study chemical engineering. [23:50] <Raynerd> Dont get me wrong..it is an awesome awesome subject. Just hard to make awesome! [23:50] <shiftplusone> My physics teacher would always go an extra step and provide some mind blowing information about what was just covered, so it always made the lesson stick and make you want to know more. [23:51] <Raynerd> What is ths only a level specified by some uni courses?? [23:51] <Raynerd> Why?? Ours our going cern this week i think... Literally! [23:56] <rikkib> Wish I when to school now... In the 70's it was to regimented... I went to the principle and asked to do all the science classes but they would not let me. So I literally gave up trying... Needed all science subjects to do Uni.